Hewlett Packard Enterprise C7974A. Tape type: LTO, Native capacity: 800 GB, Compressed capacity: 1600 GB. Colour of product: Green. Tape size: 1.27 cm, Tape length: 820 m, Tape thickness: 6.6 µm. Quan..
Hewlett Packard Enterprise Ultrium 800 GB. 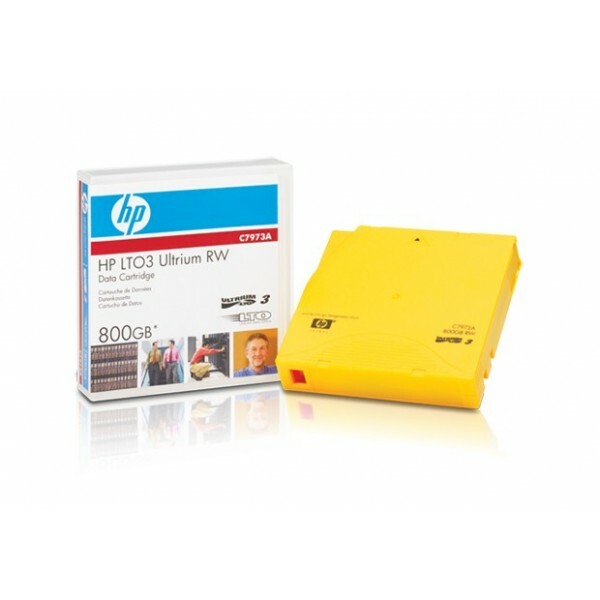 Tape type: LTO, Native capacity: 400 GB, Compressed capacity: 800 GB. Colour of product: Gold. Tape size: 1.27 cm, Tape length: 680 m, Tape thickness: 8 µm. 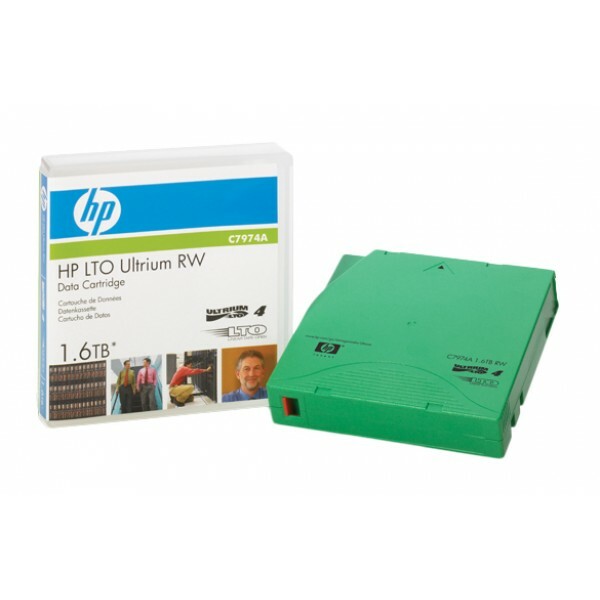 ..
Hewlett Packard Enterprise LTO-7 Ultrium, 15 TB, RW. Tape type: LTO, Compressed capacity: 15000 GB, Tape life: 30 year(s). Transfer rate: 700 MB/s. Colour of product: Blue. 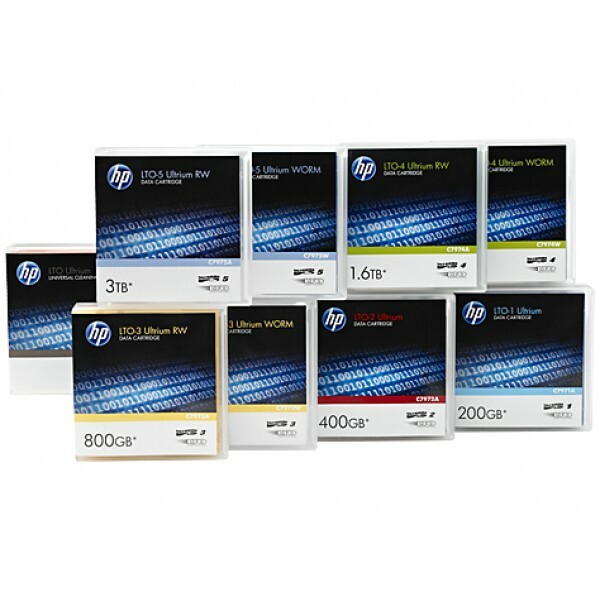 Tape size: 1.27 cm, Tape le..
Hewlett Packard Enterprise Q2014A. 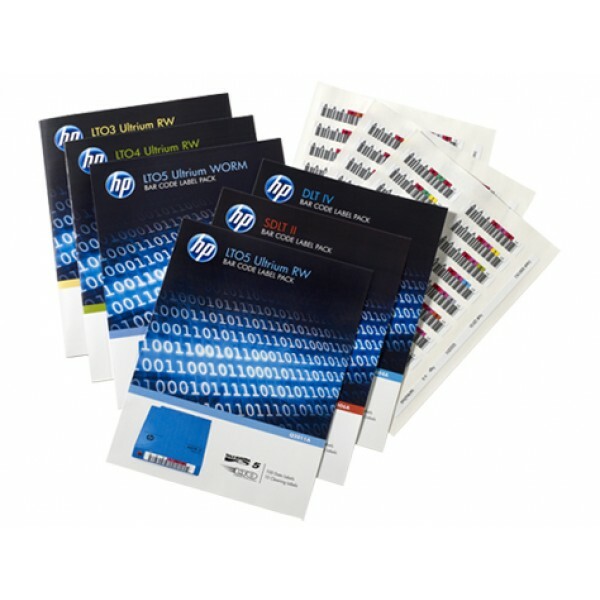 Colour of product: Black, White, Label type: Self-adhesive label, Compatible products: LTO-7 Ultrium RW. Labels per pack: 100 pc(s)..